Freestyle Motocross has become a leading spectator attraction in the past five years, and is now one of the worldâ€™s best crowd pullers. Broke FMX and Freestyle Motocross offer unrivalled entertainment. The thrill of athletes jumping 35 feet in the air pulling acrobatic stunts over gaps approaching 100 feet is a sight to behold and challenges the senses. The art of freestyle Motocross is ever becoming a crowd favourite at events all over the world. With years of experience, Broke FMX stunt display team are dedicated to electrifying crowds of all ages. The show features the UKâ€™s top ranked freestyle motocross riders, incorporating the latest heart stopping tricks as usually only seen on TV. The team set the standard for 10 years and now continue to push the boundaries of FMX and lead the way for all motorcycle display teams. 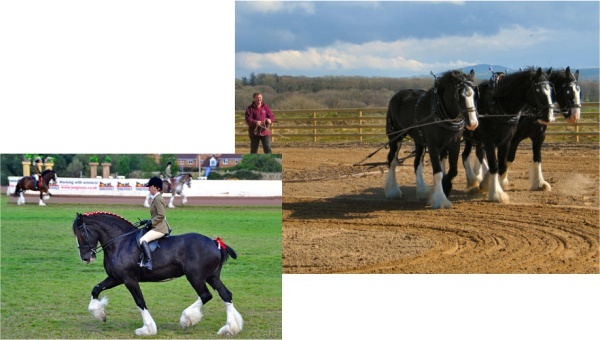 Last year we introduced the Gentle Giants Shire Horses to our Steam Rally and they were a great success. So we asked them to come back again for our 2018 Rally. We hope you really enjoy meeting them again. They are wonderful, impressive animals and Gentle Giants is a most appropriate name for them. If you have not had the pleasure of seeing them at close quarters before you must surely pay them a visit in their paddock near to the Can-Can dancers' stage. 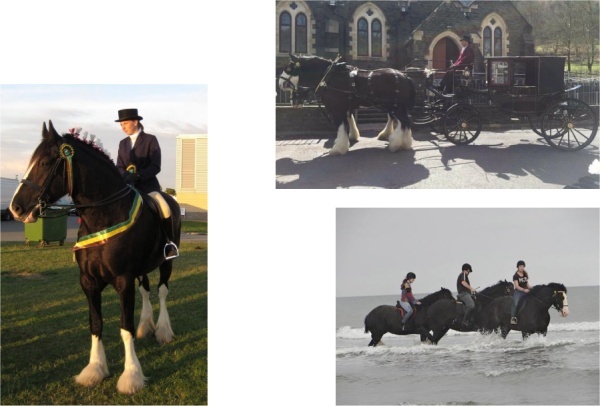 Gentle Giants Shire Horse Drawn Carriages are based in Moylegrove, Pembrokeshire. Ensure you have a truly magical day and come to meet the horses at the Steam Rally, as they are prepared, including grooming, plaiting etc. These beautiful animals are quiet and patient and enjoy all the attention they receive. Children are welcome to come and stroke the horses. You can watch them as they take part in the Sunday Road Run (starting at 11.00am from the Fairfield Car Park Exit) or parade in the Arena on both Sunday and Monday. You might even see one gallop - a most impressive sight .